Lately I have found myself listening to books instead of rereading them. In fact, I have listened to four books this month, when normally it takes me a month to even finish just one! I’ve been getting a start on my holiday crafts, so these have given me a nice distraction and kept me focused. I usually only listen to books I’ve already read, so I don’t get sidetracked and miss something. With kids, that happens quite often. But this month I took a chance on two different books and listened even though I never read them. What an experience! My first relisten was Queen of Shadows by Sarah J Maas. 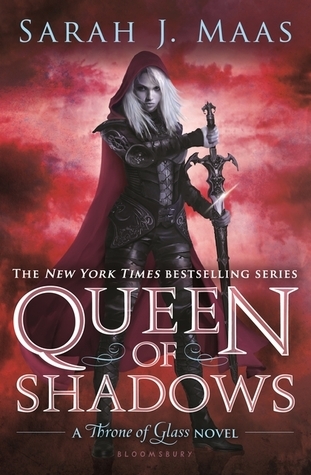 In preparation for the release of Empire of Shadows, I needed to reread QoS in order to remember the finer points. But I’m so glad I decided to listen instead. It was so much more exciting. I was actually able to grab the Throne of Glass coloring book early and I spent a few nights coloring the pictures for the scenes I was listening to. I think I’ll do another relisten of the entire series, next year before the final book releases. Grab Queen of Shadows HERE. 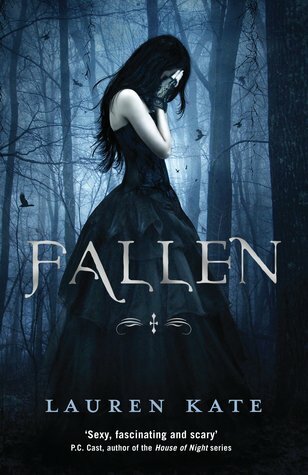 I read the Fallen series a few years ago and thoroughly enjoyed it. Super fun and exciting YA series. And after my QoS relisten I wanted another fantasy book to keep me motivated, so I went to my Overdrive system and starting searching for anything that fit the bill. As soon as I saw the cover, I KNEW I needed to grab it. Since it’s been a few years since I read this, I really didn’t remember any of it. I get the gist of it, but not the finer points, so it was sorta like reading it for the first time. And then when the movie trailer released, I was even happier with my decision. Such a romantic story! I highly recommend it. Grab Fallen HERE. Next on my listening list is Six of Crows. It’s a spin off of the Grisha series, which I read last year. It’s part of a duology and the second book, Crooked Kingdom, releases today, so I needed to read this book first. This is one I never read before, so I’ll admit I was a bit nervous listening. I was afraid I would get confused with all the many points of views, but it’s told in a way that’s easy to keep up with. In fact, it has seven different narrators! SEVEN! I was completely sucked into this book and then kicked myself for waiting so long. I have a feeling I’ll be grabbing the audible for CK also, even though the DTB is being delivered today. 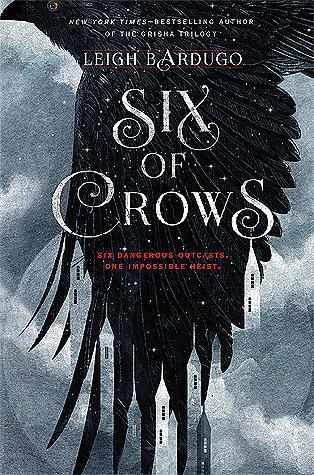 Grab Six of Crows HERE. 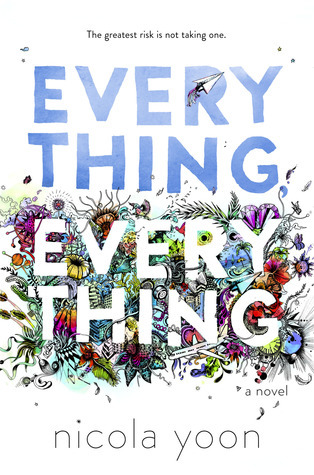 And last but not least, Everything Everything. I actually listened to this in one day. I spent all day Sunday carrying around my phone as I did chores and some crafting. I’ve heard great things about this book and I know it’s getting made into a movie, so I asked my friends if I should read it or just wait for the movie. Well, you can imagine what they said. Lately I’m not one to read straight YA or NA books. I want fantasy. So I didn’t think I would enjoy it as much as they did. Honestly. But I found myself giggling and smiling, and a few times gasping. I was hoping my daughter would read this, but there’s so much love I fear the book would get tossed in my face, so I think I’ll wait and convince her to read it when she’s older. But if you haven’t read it, I recommend it. It was really sweet. I wish there was just a wee bit more at the end, but all in all, I was happy. Grab Everything Everything HERE. If you’ve never heard of Overdrive, I hope you look into it. All you need is a library card. In fact, I get many of my books from there and this month made me realize how many audibles they have also. I think I’ll be utilizing them more often. Check it out HERE.